If you are at all tapped into the Young Adult book blogging scene, you have more than likely already heard that there is a new E. Lockhart book coming out. That book, We Were Liars, has been getting strong buzz around the blogosphere – and rightly so. The book is excellent. 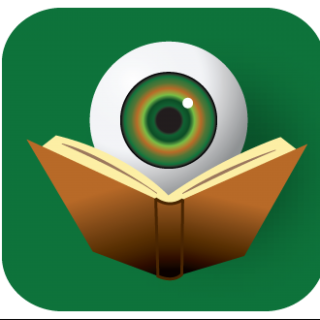 To say much about the book would destroy the reader’s own personal discovery of its secrets. Much has been made of the “twist” hidden within. For me, this plot development did not come as a surprise, but my reading experience was not diminished in the least for the knowing. Trust me (see what I did there?) when I tell you that you won’t hear any major spoilers from me. We Were Liars is the story of the Sinclair family. More specifically, it is the story of Cadence Sinclair and her summers of discovery on the beaches of Beechwood Island. When your family’s vacation home is surrounded by water, chances are there is more to your privileged life than the surface reflects. For Cadence, the summer months are a time to reconnect with her cousins, but when her Aunt brings her new boyfriend’s son along on the vacation, the dynamic within the group begins to shift. That boy is Gat Patil and he is an outsider in many ways. Indian by birth and political by nature, one would expect a clash with the upper crust of Massachusetts society – The Sinclairs. However, what actually happens on the island that summer remains unclear for the reader until the final pages of the book are turned. This is no accident – E. Lockhart has intentionally structured her novel in such a way as to engage the reader as an active participant in the excavation of memory. Lockhart has written a short book that is anything but simple. The nature of her prose – lyrical, poetic and stream of consciousness-like – requires the reader to work for each satisfying discovery. The skill with which Lockhart wields these techniques, however, keeps readers from realizing how much effort they are actually putting into figuring out what is going on. Visually represented by the book’s cover design, much of the power of the book comes from this sense of not really seeing the whole picture. Scene snapshots are blurred to obscure reality until finally the action coalesces and everything comes into focus. Further complicating matters is Cadence herself. E. Lockhart makes it clear very early on that she may not be the most reliable of narrators. The title of the novel alone should cause readers to distance themselves from what is on the page. It is because of this distance that when things are finally uncovered, the emotional impact on the reader will depend on factors outside of the book. Regardless of one’s reaction to the ending, the book remains a tightly constructed and satisfying reading experience. 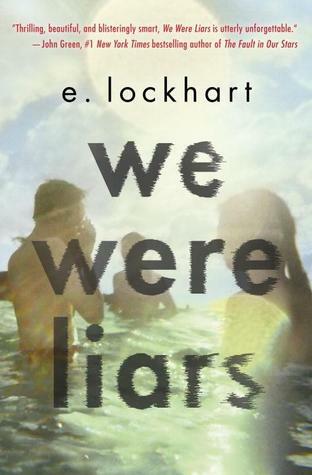 E. Lockhart’s We Were Liars will continue to create waves throughout the summer months. Why not jump in now, so that you can be part of the conversation? Great review! Thorough appraisal of a truly brilliant book. Thanks Emma. As I said on Twitter, it was not an easy review to write. Everything I could put into words seemed too inadequate and then I had to stay spoiler-free on top of that.